Gravity holds us firmly on the ground and keeps the earth circling the sun. This invisible force1 also draws down rain from the sky and causes the daily ocean tides. Sir John Herschel named this large and beautiful circular feature, known as the Keyhole Nebula, within the Carina Nebula, in the 19th century. Its distance is about 8,000 light-years from Earth. This system contains some of the most massive and hottest stars known, with masses approximately 100 times that of our sun, and 10 times as hot. 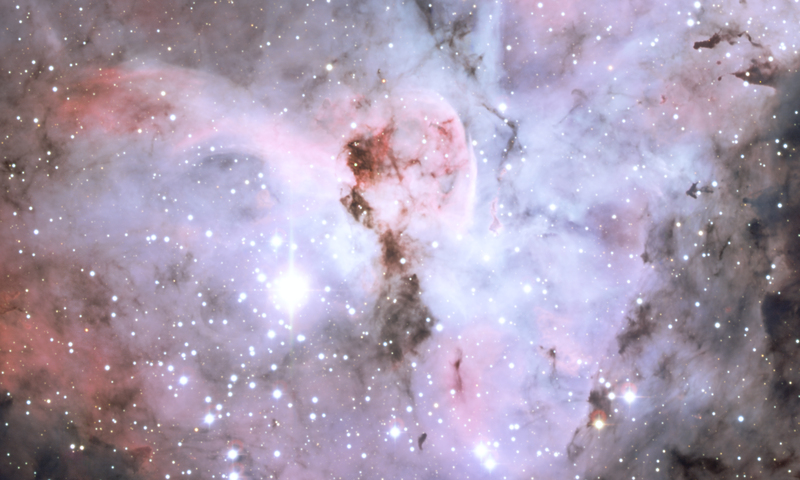 Nebulae such as these may contain within them ‘black holes’, resulting from the collapse of a star remnant under its own gravity. Such regions would have gravity so powerful that even light rays could not escape. It keeps the earth in a spherical shape, and prevents our atmosphere from escaping into space. It would seem that this everyday gravity force should be one of the best understood concepts in science. However, just the opposite is true. In many ways, gravity remains a profound mystery. Gravity provides a stunning example of the limits of current scientific knowledge. 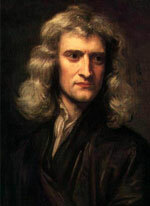 Isaac Newton asked this question in 1686, and concluded that gravity was an attractive force between all objects. He realized that the same force that causes an apple to fall to the ground also holds the moon in its orbit. Earth’s gravity actually causes the moon to fall about one millimetre away from a straight-line path, each second, as it orbits the earth (Figure 1). 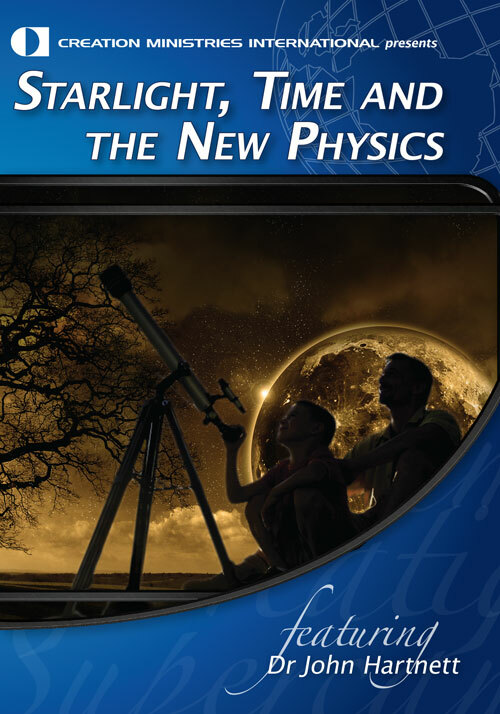 Newton’s universal Law of Gravity is one of the great science discoveries of all time. Gravity is one of four known fundamental forces of nature (Table 1). Note that gravity is by far the weakest of the four, yet it dominates on the scale of large space objects. As Newton showed, the attractive gravity between any two masses gets less and less as the distance between them gets greater, but it never quite reaches zero (see aside‘Designer Gravity’). Therefore every particle in the entire universe actually attracts every other particle. Gravity is a long-range force in contrast to the strong and weak forces (Table 1).2 Magnetic and electric forces are also long-range, but gravity is unique in being both long-range, and always attractive, thus never cancelling out (unlike electromagnetism, where the forces may either attract or repel). Table 1. The four fundamental forces of nature. Strong 1 Stability of the atomic nucleus. Electromagnetic 10-2 Atomic, molecular bonding. Weak 10-6 Radioactive decay processes. Gravity 10-43 Stability of space objects. 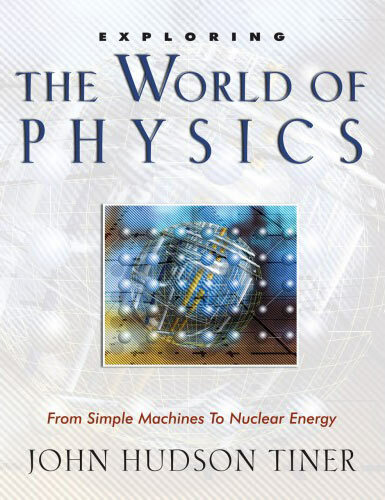 Starting with the great creationist physicist Michael Faraday in 1849, physicists have searched continually for a hidden relationship between gravity and the electromagnetic force. There is an ongoing effort to unify all four fundamental forces into a single equation or ‘theory of everything’, with no success thus far. Gravity remains the least understood force. Gravity cannot be shielded in any way. Intervening objects, whatever their make-up, have no effect whatsoever on the attraction between two separated objects. This means that no antigravity chamber can be built in the laboratory. Neither does gravity depend on the chemical composition of objects, but only on their mass, which we perceive as weight (the force of gravity on something is its weight — the greater the mass, the greater the force or weight.) Blocks composed of glass, lead, ice or even styrofoam, if they all have equal mass, will experience (and exert) identical gravitational forces. These are experimental findings, with no underlying theoretical explanation. This equation shows that gravity decreases as the separation distance, r, between two objects becomes large but never quite reaches zero. The inverse-square nature of this equation is intriguing. After all, there is no essential reason why gravity should behave in this way. In a chance, evolving universe, some random exponent like r1.97 or r2.3 would seem much more likely. However, precise measurements have shown an exact exponent out to at least 5 decimal places, 2.00000. As one researcher put it, this result seems ‘just a little too neat.’2 We may conclude that the gravity force shows precise, created design. Actually, if the exponent deviated just slightly from exactly 2, planet orbits and the entire universe would become unstable. Thompsen, D., ‘Gravity very precisely’, Science News 118(1):13, 1980. What really is gravity? How is this force able to act across the vastness of empty space? And why does it exist in the first place? Science has never been very successful in answering these most basic questions about nature. Gravity cannot somehow slowly arise by mutation or natural selection. It was present from the very beginning of the universe. Along with every other physical law, gravity is surely a testimony to a planned creation. Attempts to explain gravity have included invisible particles, called gravitons, that travel between objects. 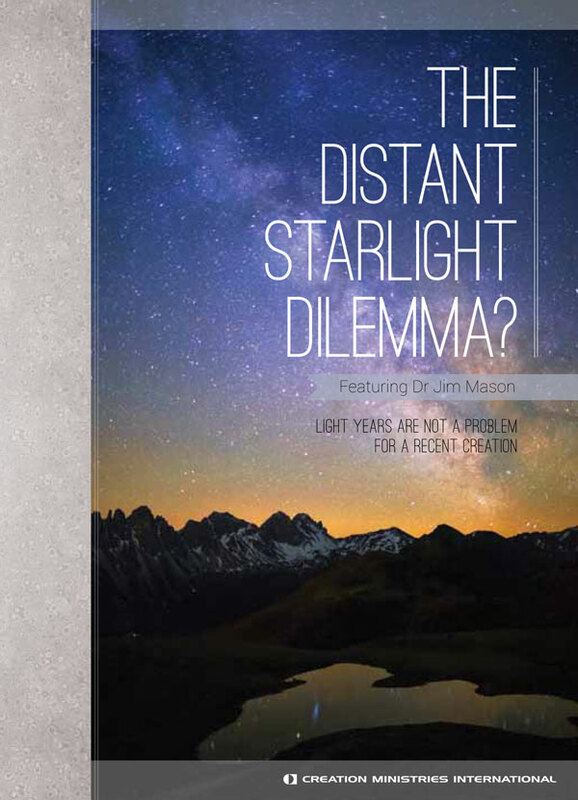 Cosmic strings and gravity waves have also been suggested, but none have been confirmed. We simply do not know how objects physically interact with each other over vast distances. 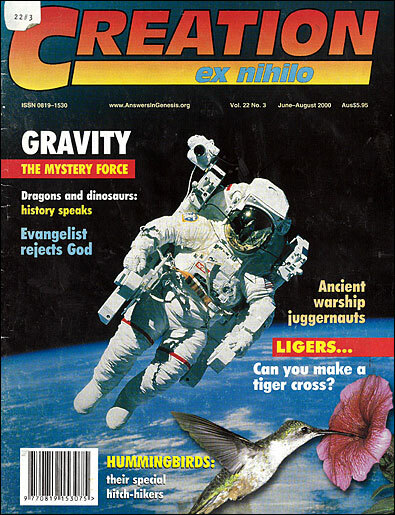 Two Bible references are helpful in considering the nature of gravity and physical science in general. First, Colossians 1:17 explains that Christ is before all things, and by Him all things consist. The Greek verb for consist (συνιστάω sunistaō) means to cohere, preserve, or hold together. Extrabiblical Greek use of this word pictures a container holding water within itself. The word is used in Colossians in the perfect tense, which normally implies a present continuing state arising from a completed past action. One physical mechanism used is obviously gravity, established by the Creator and still maintained without flaw today. Consider the alternative; if gravity ceased for one moment, instant chaos surely would result. All heavenly objects, including the earth, moon and stars, would no longer hold together. Everything would immediately disintegrate into small fragments. A second reference, Hebrews 1:3, declares that Christ upholds all things by the word of His power. Uphold (φέρω pherō) again describes the sustaining or maintaining of all things, including gravity. The word uphold in this verse means much more than simply supporting a weight. It includes control of all the ongoing motions and changes within the universe. This infinite task is managed by the Lord’s almighty Word, whereby the universe itself was first called into being. Gravity, the ‘mystery force’, which is poorly understood after nearly four centuries of research, is one of the manifestations of this awesome divine upholding. Table 2: Some values of the gravitational force of attraction between various objects. NB: kg are actually units of mass (the units of force are N = Newtons, where the force on a 1 kg weight at sea level = 9.8 N). The weight (or force) exerted by a given mass depends on how close it is to the earth’s gravity, so here sea level is assumed. Einstein said it is not a force in the way others are, but an effect of the curvature of space-time. According to general relativity, the effects of gravity are not instantaneous, but transmitted at the speed of light. Einstein’ theory of general relativity regards gravity not as a force, but a curvature of space itself near a massive object. Even light, which traditionally follows straight lines, was predicted to bend while travelling through curved space. This was first shown when the astronomer Sir Arthur Eddington detected a change of a star’s apparent position during a total eclipse in 1919, consistent with the light rays’ being bent by the sun’s gravity. Simulated view of a black hole in front of the Large Magellanic Cloud. Note the gravitational lensing effect, which produces two enlarged but highly distorted views of the Cloud. Across the top, the Milky Way disk appears distorted into an arc. Click for larger view. General relativity also predicts that if a body were dense enough, its gravity would curve space so strongly that light could not escape at all. Such a body would absorb light and anything else caught by its intense gravity, and so is called a black hole. Such a body could be detected only by its gravitational effects on other objects, strong bending of light around it, and by intense radiation emitted by matter falling in. There is good evidence that a very massive star, after most of its nuclear fuel runs out, would have nothing to counteract a collapse under its own huge weight into a black hole. Black holes with the mass of a billion suns are thought to exist in the centres of galaxies, including our own, the Milky Way. Many scientists believe that the super-bright and extremely distant objects called quasars are powered by the energy released as matter falls into a black hole. 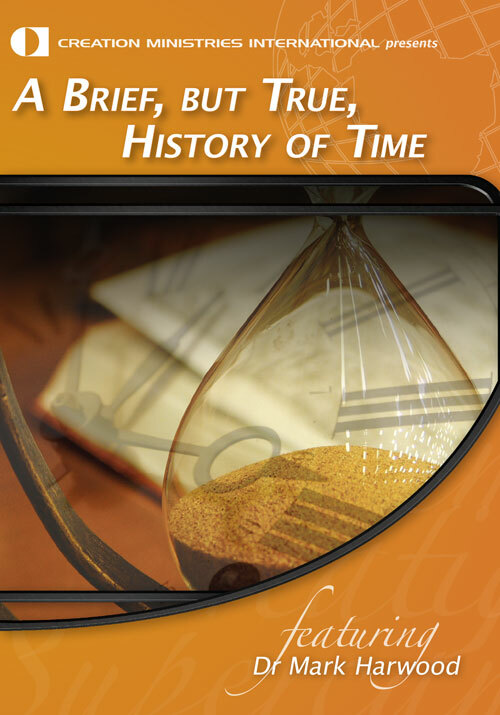 General relativity predicts that gravity also distorts time. This has also been confirmed by extremely accurate atomic clocks ticking a few microseconds per year slower at sea level than at high altitudes where Earth’s gravity is slightly weaker. Near an event horizon, the effect is far more marked. If we monitored the watch of an astronaut approaching an event horizon, we would observe the watch tick ever more slowly. At the event horizon, it would be stopped, but we would never see that happen. Conversely, the astronaut wouldn’t notice anything different about his own watch, but he would observe our clocks ticking faster and faster. The main danger to an astronaut near a black hole is tidal forces, caused by the fact that gravity is stronger on the parts of the body closer to the black hole than on the parts away from it. The tidal forces near a black hole with a mass of a star are much stronger than a hurricane, intense enough to stretch an onlooker into tiny pieces. However, while gravitational attraction decreases with the square of the distance (1/r2), the tidal effect decreases with the cube of the distance (1/r3). 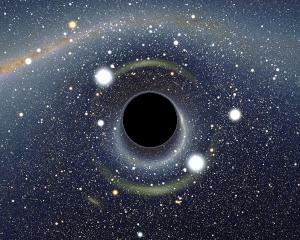 So contrary to popular imaginings, large black holes have weaker gravitational (including tidal) forces at their event horizons than small black holes. So the tidal forces at the event horizon of a black hole the mass of the observable cosmos, for example, would be less noticeable than the most gentle breeze. 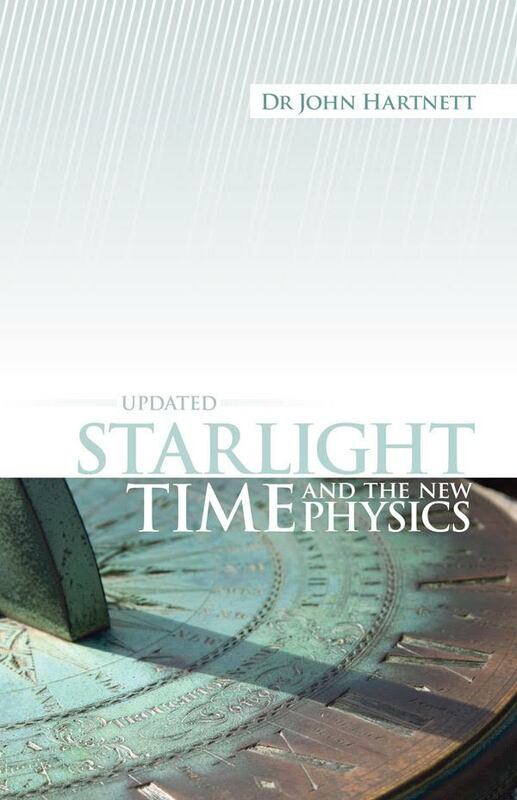 Gravitational time dilation at and near an event horizon is the basis of the new cosmological model of the creationist physicist Dr Russell Humphreys, in his book Starlight and Time. 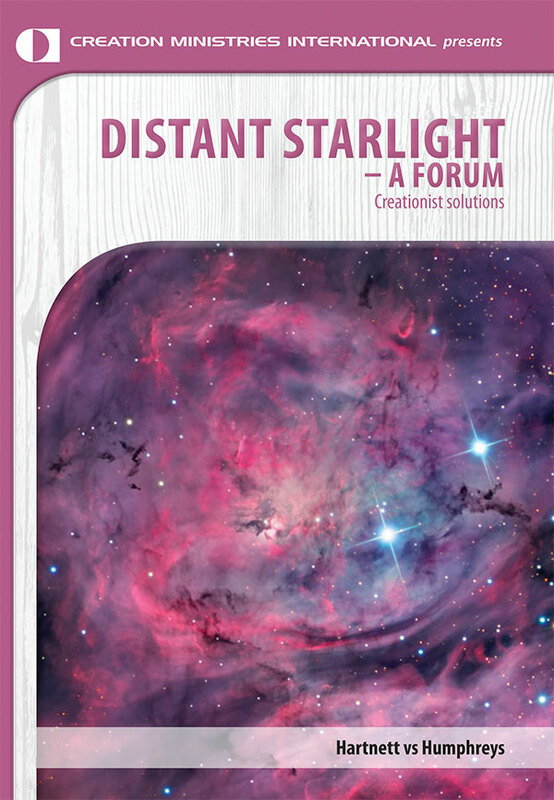 This model seems to provide one possible solution to the problem of seeing distant starlight in a young universe, and is currently a scientific alternative to the unbiblical ‘big bang’ theory which relies on philosophical assumptions outside science. Apart from Stephen Hawking’s theoretical discovery in 1974 that black holes would eventually evaporate via Hawking radiation due to a quantum mechanical effect. Isaac Newton was not only a scientist but also a life-long biblical scholar. His favourite Bible books were Daniel and Revelation, in which God’s plans for the future are described. Newton actually wrote more about theology than science.